The flavour of Champagne wine would amount to nothing without the years spent ageing in the chalk cellars. With its 18 km of cellars that you will visit aboard a little train, maison Mercier sets an example. 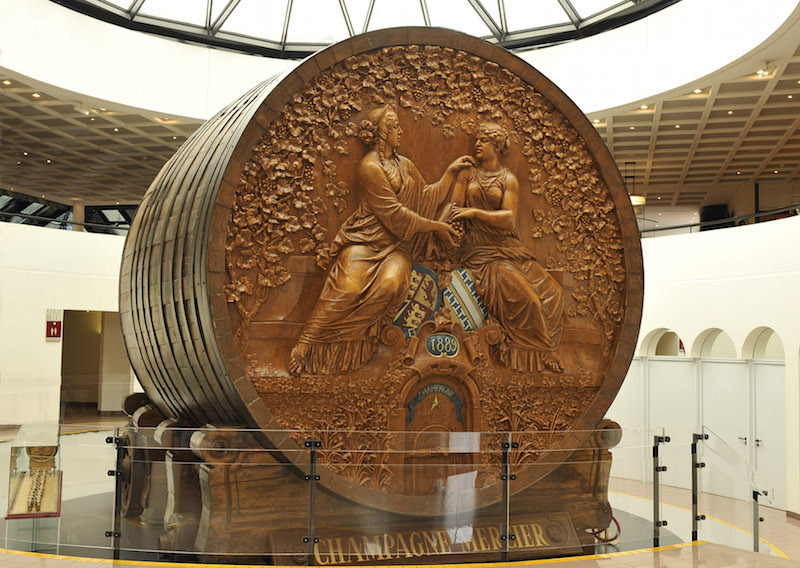 Along the way you'll see the huge wine barrel with a capacity of 200.000 bottles that was made for the 1889 Universal Exhibition. 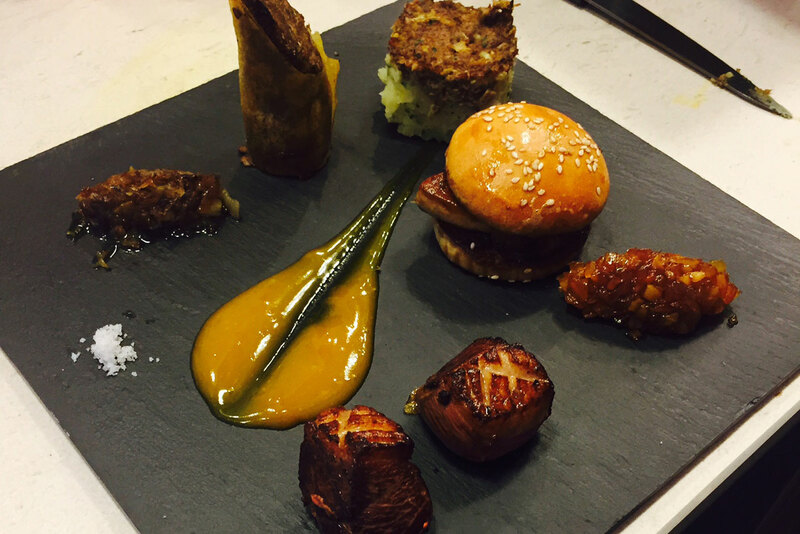 Amongst the surprising flavors of Champagne, how about local snails and Champagne truffles that you can select and sample throughout a meal ! Hôtel Castel Jeanson welcomes you to its 19th century townhouse, set behind brick red walls, with its superb Art Nouveau glass roof and stained glass windows that are visible from the large indoor swimming pool. 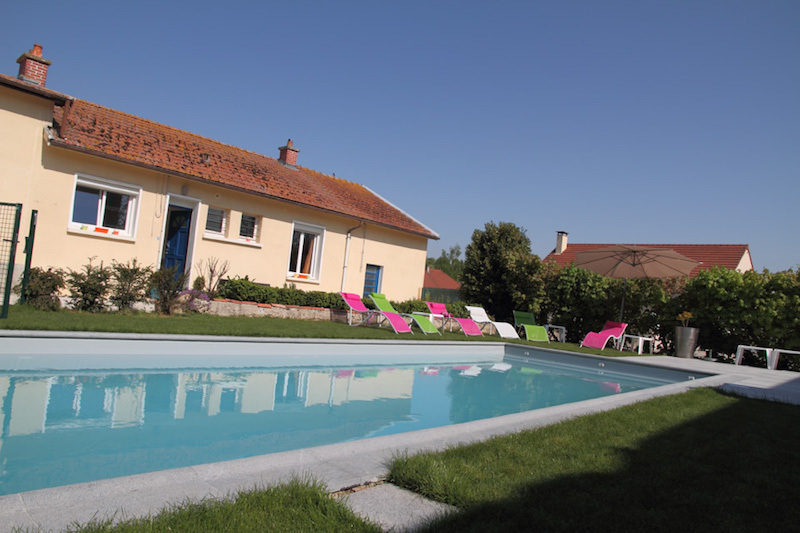 In the heart of the Champagne countryside, in an old farm, this establishment has a family atmosphere with spacious and comfortable rooms and a quality restaurant. An outdoor pool, Jacuzzi and a truffle cellar are waiting for you. Learn all about how Champagne is made aboard a small train that takes you around the Champagne Mercier cellars in Epernay. Stroll along the avenue de Champagne before sharing the passion of an independant grower in Aÿ. Set out and discover a snail farm and taste it with a glass of Champagne ! Discover Châlons-en-Champagne on board a boat with commentary. Finally, learn all about truffles with a visit to the truffle cellar at the Auberge des Moissons. Night at Auberge des Moissons.